A lot of things have been said about this unique arrangement. 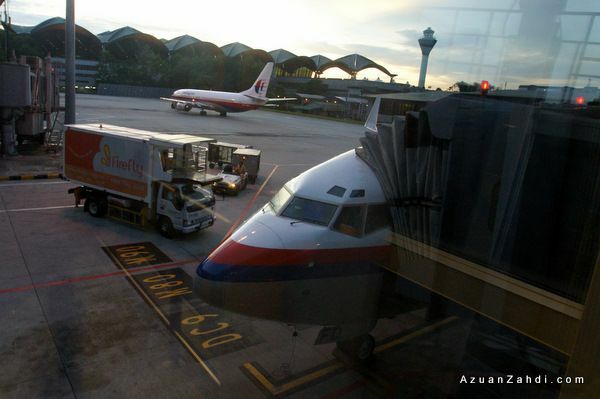 The once-upon-a-time Firefly Airlines awesome jet service based in KLIA servicing East Malaysia destinations has now been ‘synergized’ to be part of Malaysia Airlines in-line with the on-going Comprehensive Collaborative Framework (CCF). 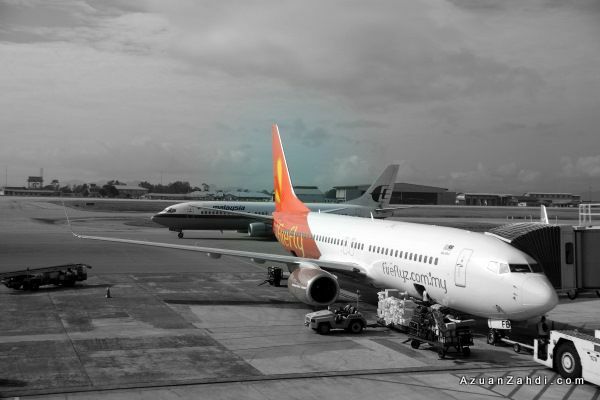 The beautiful sight of orange colour Boeing 737-800 planes in KLIA (and of course the orange skirts! 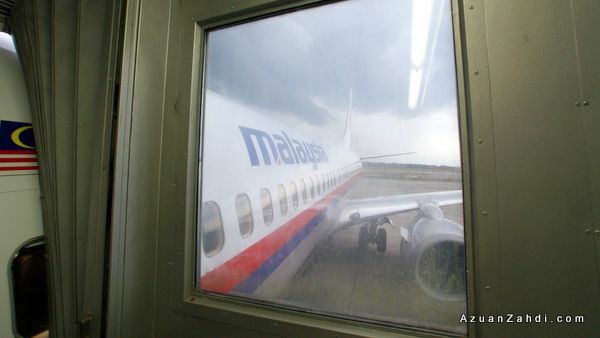 :p ) is now history as all the planes have now been repainted to MAS colours. 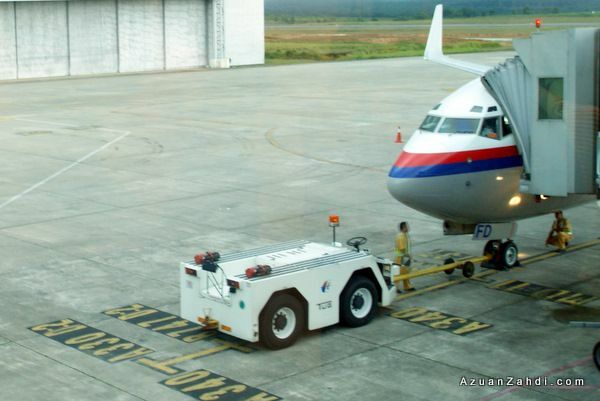 After reading a few trip reports online, I was made to understand that the ex-Firefly Boeing 737-800 planes and crew of Firefly jet services are still operating but under the banner of Malaysia Airlines. That’s right, these days even if you pay Malaysia Airlines fare but you might end up in an ex-Firefly Airlines plane, operated by Firefly Airlines crew. I find it perfectly normal. However for some, it is a big deal in terms of confusing products being offered by the airline. 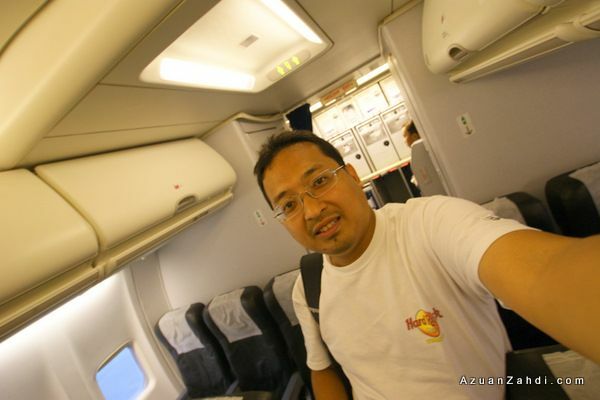 I personally had the chance to try this ‘hybrid’ product/service out on my recent Johor Bahru – Kuala Lumpur flight and this is my honest trip review. My boarding pass. 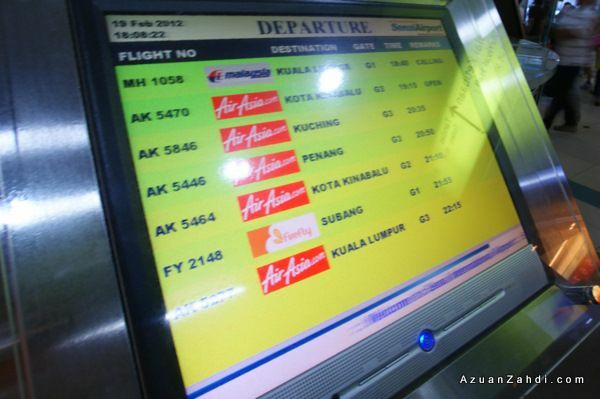 All set for the short 40-minutes hop on Malaysia Airlines.. 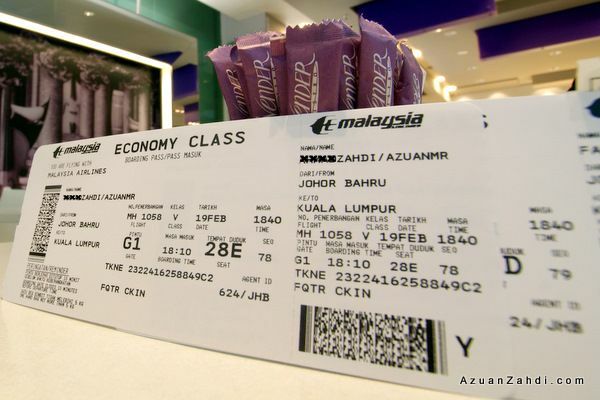 This trip was made possible thanks to my 2-years’ worth of Enrich miles that were redeemed for 2 return tickets to Johor Bahru (JHB). MH1058, I’ve flown on this particular “6:40pm” flight more than 10 times in the last 4 years and it has always been a Boeing 737-400 flight. 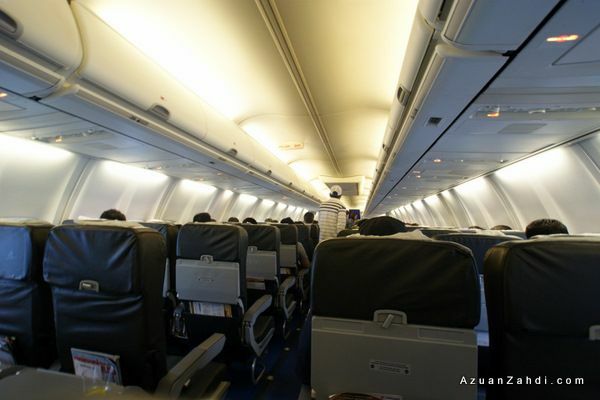 When the check-in guy mentioned that it’s going to be a Boeing 737-800 flight I was delighted hoping that I would finally get the chance to fly on a MAS Boeing 737-800 with its nice sky-interior and all. 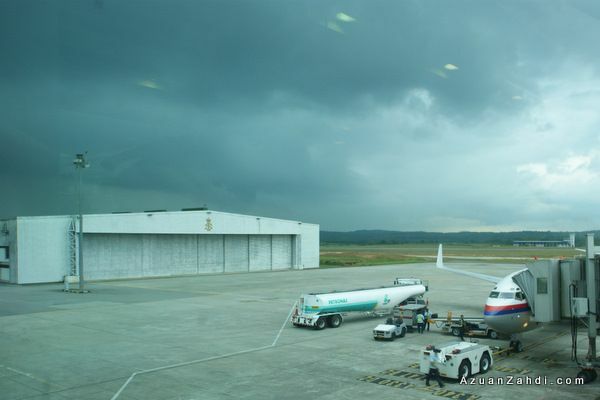 I walked to the plane anticipating a stylish MAS Boeing 737-800 in its new livery. Only to be disappointed with this sight. 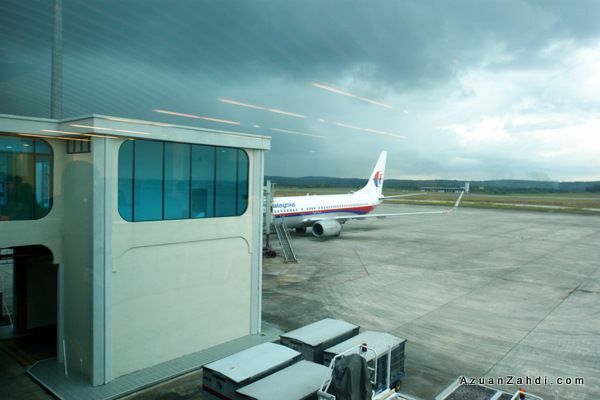 A Malaysia Airlines Boeing 737-800 with an old livery. That could only mean one thing which is an “Operated by Firefly Airlines” flight! 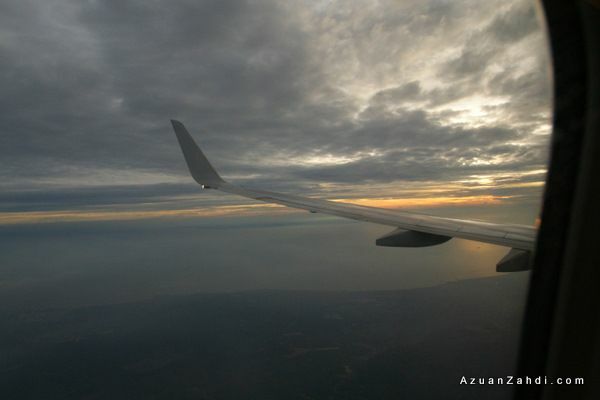 There goes all my hope of flying on MAS’s sky-interior 737-800. Oh well, I had good experience with Firefly Airlines crew in the past so I was quite sure it’s going to be the same experience. Boarding process was done by rows but as always people just rushed in. I was the last few to board. 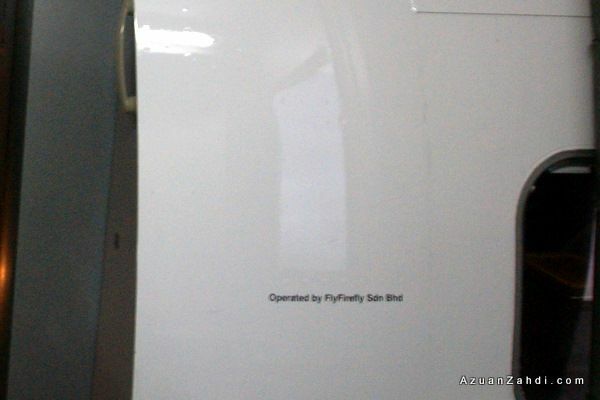 “Operated by FlyFirefly Sdn Bhd” sticker at the door. 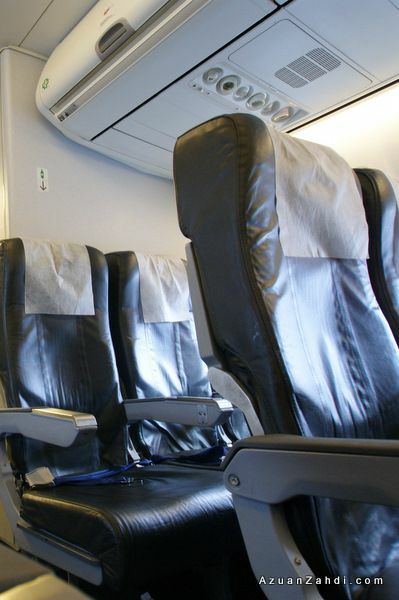 As I entered the economy class section walking towards my seat on the second last row, I can’t help but to notice that the seats are still the same. Black leather seats all the way to the back. 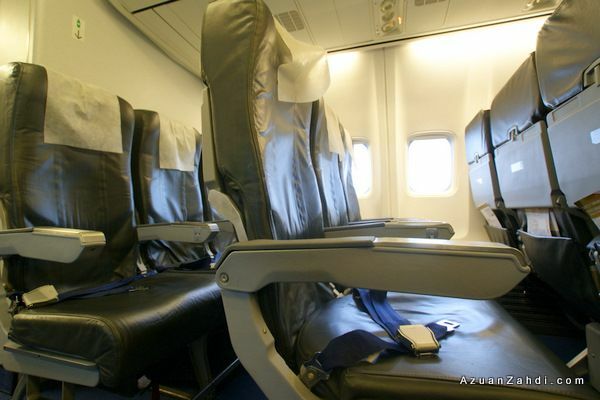 The seats on this ‘converted’ Malaysia airlines 737-800. Fair? You be the judge. To be honest, the seats are not too bad. I had no complaints travelling on these seats when I flew with Firefly last time so I still find it acceptable for a short hop but the bigger concern is the expectation of passengers when they pay the usual MAS fares and expect the best of Malaysian Hospitality. 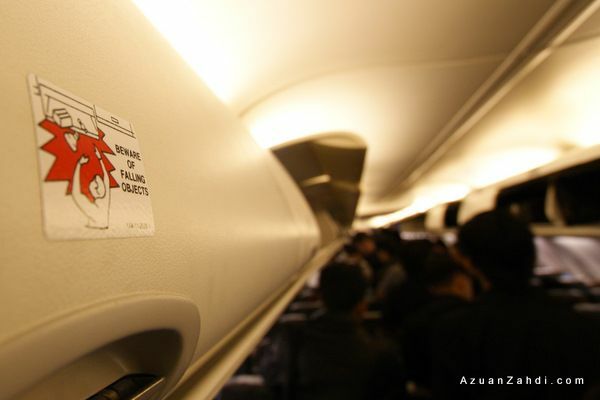 Will this affect the premium image that the airline is trying to project to the market? 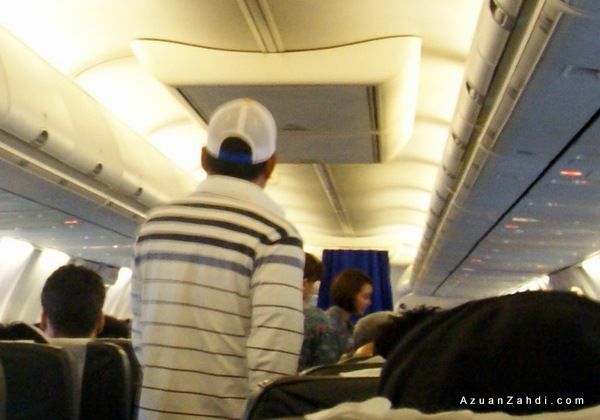 We were lucky to be seated at the back as there were no passengers on the last two rows. 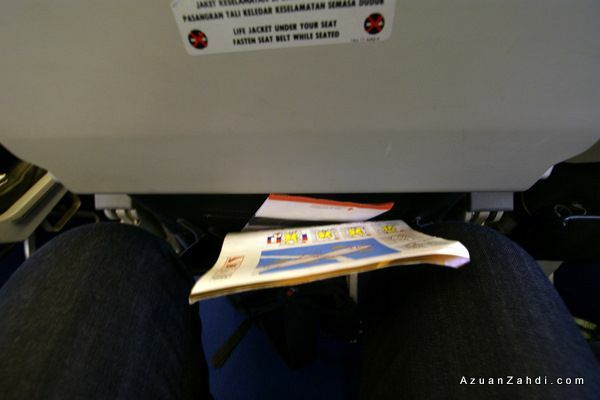 No inflight-magazine at the seat-pocket. I had to entertain my wife with my stupid jokes for a good 40-minute. Ok I lied, she never asked for it. 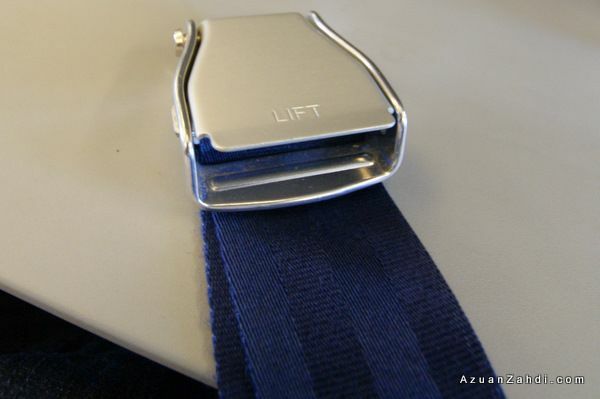 The seat-belts no longer have that unique Firefly logo. The flight took off on-time despite the almost full-load, hats off to the all-female cabin crew that managed to get the cabin ready on time for take off. 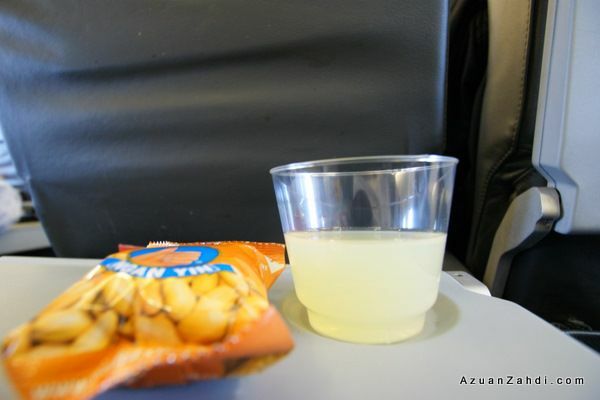 While the crew service is up to mark, the inflight refreshment is another confusing thing. I was confused when I got this packet of salted peanuts. 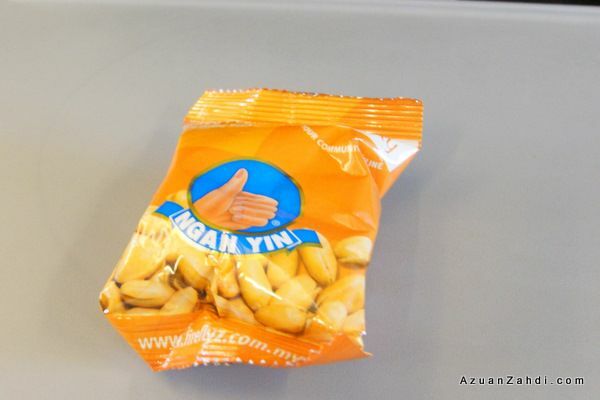 I would understand that changing seats to MAS seats would be costly but why can’t they serve an actual MAS peanuts? 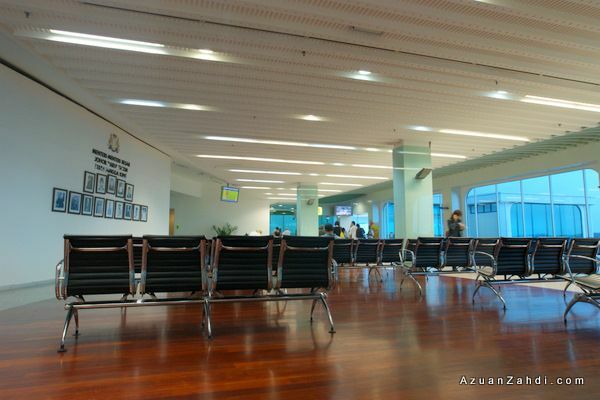 We arrived in KLIA on the dot as per scheduled. And our bags were at the carrousel waiting for us. Awesome. Overall, I would say that the cabin crew was up to the MH standard and friendly enough to accommodate my photo taking throughout the flight, however some of the ‘touching points’ products are rather confusing especially for those passengers wanting the usual 5-star treatment. 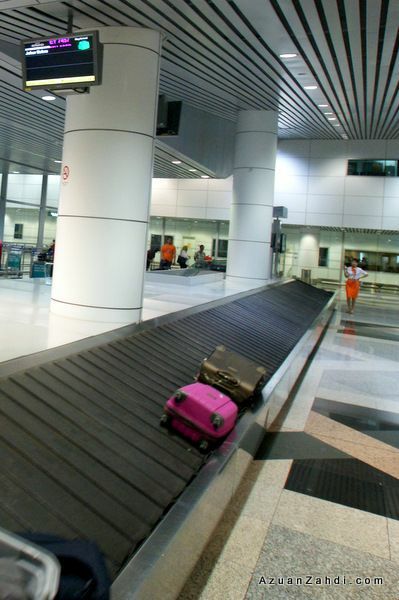 In my opinion, the airlines need to be careful in managing expectation of its customers. I would not complaint that much if I knew from the point that I redeemed my ticket that I would be flying on a ‘operated by Firefly’ kind of flight. Nevertheless I’m sure there are good reasons behind all the arrangement and as a loyal customer of MAS and Firefly; I’ll just take this as a temporary discomfort during this turbulent time. or click here for my other aviation related posts. Disclaimer: This is a personal blog/blog post. The views and opinions expressed here represent my own and not those of the people, institutions or organizations that I may or may not be related with unless stated explicitly. Thanks. I actually learnt something from this review and it happened exactly the same on my flight back to Penang from Kuala Lumpur yesterday – an ex-firefly plane. They served the ‘firefly’ salted peanuts btw 🙂 Anyhow, it was a great flight with the usual hospitality that we get from MAS! Its very informative post, thanks a lot.